TownsvilleMAPS has been designed to replace the aging Mosaic mapping service with a modern, fully supported mapping solution. It provides a user friendly, versatile map service that is highly configurable to meet the diverse business needs of Townsville City Council and the public. In order to maintain continuity and consistent products, TownsvilleMAPS uses the same symbol sets (points, lines and Polygons), map rendering and replicates search functions and map templates currently found on Mosaic. Mosaic map service users will be familiar with the TownsvilleMAPS search tools for locating street addresses, properties and land parcels. 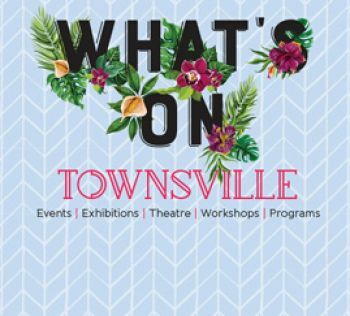 TownsvilleMAPS includes a help file to assist users to navigate and utilize the new mapping service. For registration or technical assistance, please contact Spatial Services on 13 48 10 or Spatial.Services@townsville.qld.gov.au. If you previously used the Mosaic Education Service, you will now need to use the TownsvilleMAPS Premium or Community Services. Council has a number of mapping services available to the public. Please read the Terms and Conditions of Use before accessing the above services. "I accept the Terms and Conditions of Use as outlined below and as per your signed licence agreement." Providing the Townsville community with a selection of free mapping service including Community Services, Historical Townsville and Property Services. Determine flood levels for building and development works. Technical reports for the flood studies will be available to view in the "Flood Study Areas" layer in TownsvilleMAPS in the near future. They are also available on the public website, on the engineering reports page. Part 2 (PDF 1.7MB) - provides information with examples on searching for properties, finding flood heights and depths, interpreting information and more. You are providing personal information which will be used for the purpose of delivering services and carrying out council business. Your personal information is handled in accordance with the Information Privacy Act 2009 and will be accessed by persons who have been authorised to do so. Your information will not be given to any other person or agency unless you have given us permission or the disclosure is required by law. (A) Council is the custodian of various data and information. (B) The data and information is packaged by Council into Datasets. (C) This agreement details the conditions governing the use of each Dataset by the Customer. 1.1 This agreement commences upon execution and determines upon the expiry date detailed in the reference schedule. 1.2 For the purpose of this agreement words defined in the reference schedule have the meaning described. 1.3 This agreement allows the customer to access by Internet connection the data detailed in the reference schedule. 2.1 The Customer acknowledges that Council is the owner of the intellectual property (including copyright) in the presented information. 2.2 This agreement does not assign any interest in the intellectual property to the Customer. 2.3 The presented information is commercially confidential and must not be released or disclosed to a third party except in accordance with this agreement. 2.4 The customer will not cause or allow the value of Council intellectual property to be diminished. 3.1 The Customer may only make copies of the presented information for its own use as authorised by Council. 3.2 The Customer must return the data to Council (with any amendments which will become the property of Council) upon determination of this agreement. 3.3 The Customer must destroy all additional copies of data upon determination of this agreement. 3.4 No intellectual property in the presented information passes to the Customer, who must not sell, license or distribute the Product to any 3rd Party or do any other act that contravenes Council’s intellectual property rights unless Council first consents in writing. 4.3 Will ensure that an appropriate acknowledgement and copyright notice is prominently displayed on all copies of extracts from the data including the words “Data reproduced with permission of Townsville City Council.” Council will provide logo in digital format upon request. 5.1 Council will make the Product available at the Fee detailed in the reference schedule. 5.2 Council will supply the data in ESRI and AutoCAD DXF formats only. 6.1 Council does not warrant the accuracy of the presented information and the Customer must verify the accuracy of the Data before placing reliance on the Data. 6.2 The Customer indemnifies Council, its employees and agents from any loss or damage suffered by the Customer or any person or entity, arising from or in connection with the use of the Data. 7.1 The Customer must remedy any breach of this agreement within the period (not being less than 7 days) specified in a written notice from Council requiring remedy of the breach. 7.2 If the breach is not remedied as required by section 7.1, or where the breach cannot be remedied, Council may by written notice terminate this agreement. 7.3 Upon termination under section 7.2, the Customer must cease using the data in any form whether modified or merged with other material and destroy all transferred data, and the Customer’s license to use the data is immediately revoked. Scroll through the full list of typical questions and answers relating to our TownsvilleMAPS Mapping Services. If you still require technical assistance please contact Spatial Services. The information below is provided by the software vendor and is related to the minimum requirements of the Client PC to use the TownsvilleMAPS Mapping Services application. However, Townsville City Council's Standard Operating System (SOE) uses Internet Explorer (currently Internet Explorer 10) exclusively so we can only test and guarantee that the application functions as expected in this browser version. Browser Will work with Internet Explorer versions below 10. However, users may encounter issues that can only be fixed by upgrading their browser to Internet Explorer 10.x or higher. Council's latest digital aerial photography and contour information is available through our TownsvilleMAPS Premium Service. This is a subscription based service where access to planning scheme and geotechnical information is also granted. For further information on the subscription based service please contact Spatial Services on 13 48 10 who will be able to assist.